Are you finding your senior dog is struggling to get out of bed on these chilly winter mornings? Check out last week’s post for some handy tips to help your old friend this winter. 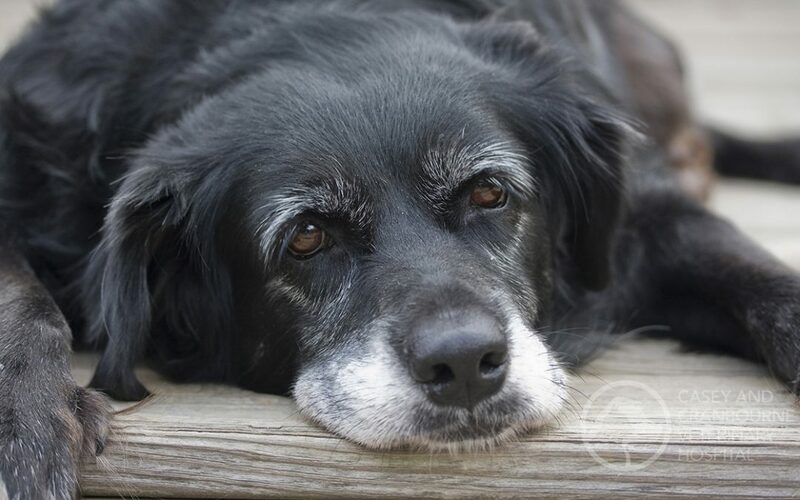 During these cold winter months, we are focusing on Senior Pets with particular emphasis on their joint health. 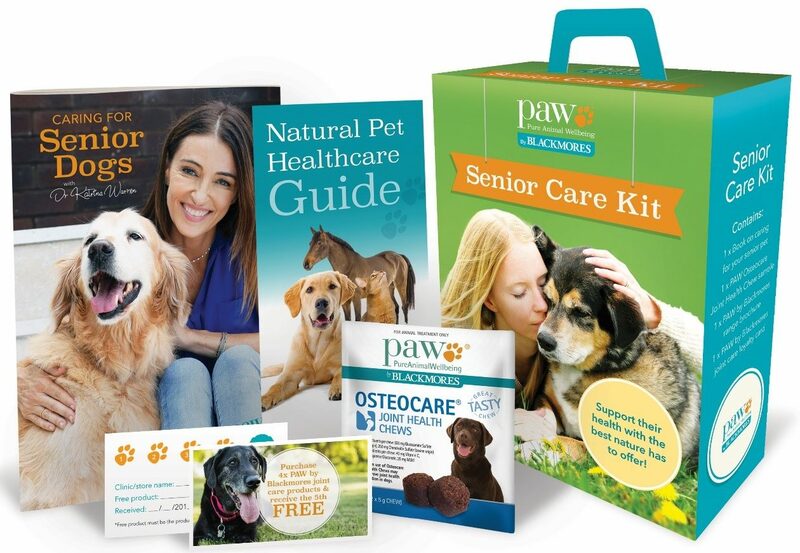 We have 20 FREE Senior Care Kits from PAW by Blackmores to give away (while stock lasts). 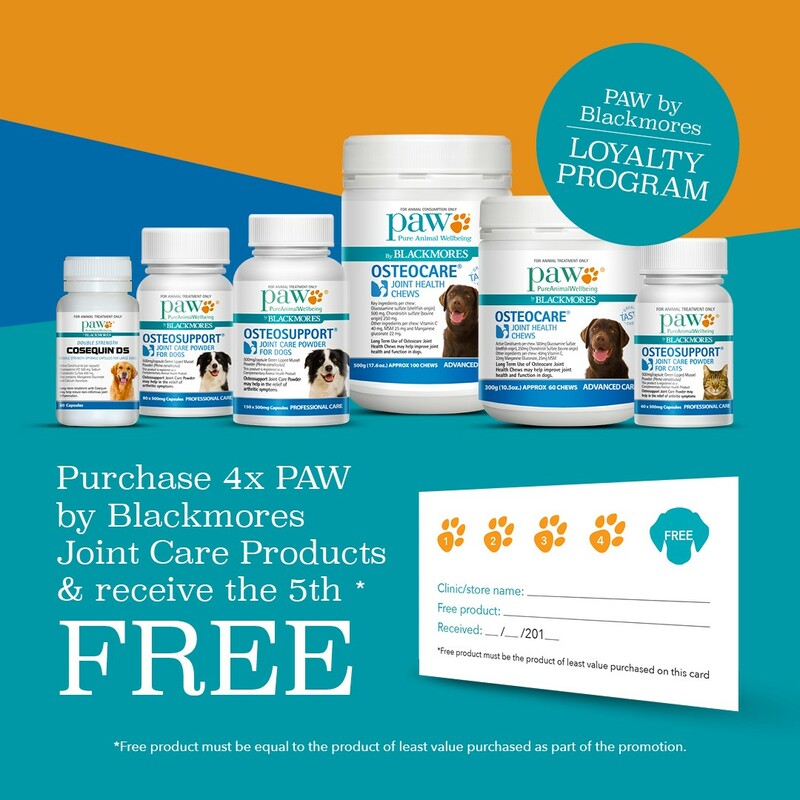 These kits contain a guide on caring for old dogs, a natural pet care guide with information about joint supplements that may help your old dog this winter, a tasty PAW osteocare chew (containing glucosamine and chondroitin) plus a PAW loyalty card whereby if you purchase 4 PAW by Blackmores joint care products from Casey and Cranbourne Veterinary Hospital, you receive the 5th free. Call the clinic today to book your elderly dog in for a Senior Health Check and receive your free Senior Care Kit, available while stock lasts!